The Mount William stone axe quarry is an Aboriginal archaeological site in Central Victoria, Australia. It is located 9 km northeast of Lancefield, off Powells Track, 10 km north of Romsey and 78 km from Melbourne. 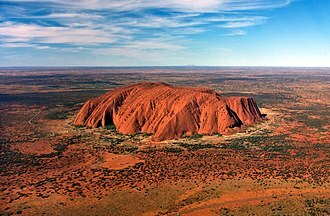 Known as Wil-im-ee Moor-ring, meaning 'axe place' in the Woiwurrung language, the greenstone quarry was an important source of raw material for the manufacture of greenstone ground-edge axes, which were traded over a wide area of south-east Australia. The Mount William Aboriginal stone axe quarry comprises the remains of hundreds of mining pits and the mounds of waste rock where Aboriginal people obtained greenstone (diabase), and manufactured stone blanks for axe heads. Chipped and ground stone axes or hatchets were an essential part of Aboriginal toolkits in southeast Australia, with the Mount William greenstone being one of the most prized and extensively traded materials. The stone was quarried from the source outcrops, and roughly flaked into blanks, then taken away for finer flaking and grinding the edge. There are 268 mining pits, 18 of which are several metres deep, surrounded by at least 34 discrete flaking floors, with mounds of debris up to 20 metres in diameter and some featuring a central outcropping rock used as an anvil. Mount William lies within one of six Cambrian greenstone belts in Victoria where several other greenstone quarries have also been found including Mount Camel, Howqua River, Cosgrove, Jallukar, Berrambool and Baronga on the Hopkins River; and Ceres and Dog Rocks near Geelong. However, none of the axes at Mount William have been ground and polished into finished hatchet heads. 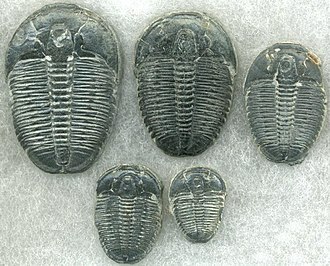 The nearest axe grinding grooves can be found at Mount Macedon, about 29 kilometres away, where analysis of stone fragments showed they were the same diabase stone as the Mount William greenstone. Some of these hatchets were polished while others were still quite rough and I imagine still require further work. The group of blacks who are camped on the creek were eager to obtain these hatchets and in return for one polished axe they gave two of their opossum skin covers. For a hatchet still in a roughened state they gave in return a number of their light bamboo spears. This bartering as I shall call it went on for some time, but only amongst the menfolk. 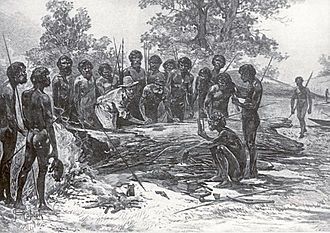 In 1854 William Blandowski, the first zoologist at the Melbourne Museum, visited Mount William and provided the first written description: The celebrated spot which supplies the natives with stone (phonolite) for their tomohawks, and of which I had been informed by the tribes 400 miles distant. Having observed on the tops of these hills a multitude of fragments of stones which appeared to have been broken artificially. Here I unexpectedly found the deserted quarries (kinohahm) of the aboriginals... which extend over an area of upwards of one hundred acres, present an appearance somewhat similar to that of a deserted goldfield, and convey a faithful idea of the great determination displayed by the aboriginals. William Buckley, described a hard black stone he called Kar-keen which was shaped into stone heads. In the 1880s prominent Wurundjeri leader and custodian of the quarry, William Barak (who probably witnessed the final operations at the quarry) described the traditional ownership and access conventions to ethnographer, Alfred Howitt. There were places in which the whole tribe had a special interest. Such a place was the "stone quarry" at Mount William... which had a network of leading men who jointly had custodial rights in the quarry... where the leading men of two intermarrying clans: the Kurnung-willam clan and the Kurnaje-berreing clan which were two of three clans that made up the Wurundjeri. 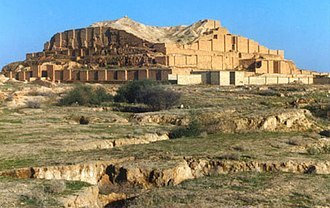 There were four men who acquired the responsibility of ownership and control of the quarry: Ningu-labul and Nurrum-nurrum-bin of the Kurnung-willam clan and Billi-billeri and Bebejan of Kurnaje-berreing clan. Billi-billeri was the headman in occupation of the site...When neighbouring tribes wanted stone for tomahawks they usually sent a messenger for Billibellary [the main custodian]. When they arrived they camped around about the place. Billi-billeri's father when he was alive split up the stones and gave it away for presents such as 'rugs, weapons, ornaments, belts, necklaces. Organised excursions were popular in the early 1900s, as when the District Teachers Association organised an excursion in 1906 and the day was proclaimed a public holiday in the Shire of Lancefield (sic), so that an opportunity will be afforded to all to be present. In the 1940s, Fred McCarthy identified a south-east Australia route associated with Mount William among his seven trunk-trade routes. ...the south-east Australia route extends from south and central Queensland down the Paroo and Warrego River to the Darling, which it follows to the Murray River and links up with the barter along this river; it then passes down the Lower Murray where it connects with a route from central Victoria (Mount William), and at Lake Alexandrina joins the Glenelg River-Coorong-Port Augusta-Lake Eyre route. 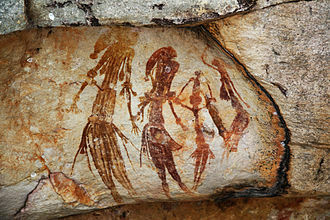 In the 1960s and 1970s, Mt William drew the attention of anthropologists and archaeologists (notably including Donald Thomson and Isabel McBryde). McBryde's study of trade systems in the 1970s included investigation of the distribution of axes from Mount William and other quarries in Victoria and New South Wales drawing on ethno-historical sources, linguistic and archaeological evidence and petrological studies (using thin section analysis for axes from archaeological sites and stone sources), to reveal distribution trends and social value. McBryde showed Aboriginal exchange networks for Mount William stone extended several hundred kilometres. with distribution determined by the social and political relations between the Kulin and neighbouring groups: sparsely distributed or absent in south-eastern Victoria but more widely distributed in Western Victoria. Mount William had long been recognised as a special Aboriginal place when the first attempt was made to provide some formal protection in 1910. The Director of the Museum of Victoria, Baldwin Spencer, sought to establish a committee in association with the Historical Society of Victoria to purchase a portion of the area to form a reserve. However the landowner declined to sell. In 1917 Alexander F. Cameron, Member for Dalhousie in the Victorian Parliament considered that: Something like twenty-five acres of land could be procured at a reasonable price, and fenced in, to be held for all time as the great historic landmark of Australia, furnishing the only indication or proof that we have that this country was inhabited for hundreds of years before the white man came here, In 1918 Cameron sought an appropriation to purchase the land, and again in 1919. Then in 1921 Cameron reported to Parliament that a gentleman in Melbourne [offered] 300 pounds towards the purchase of that land as a reserve. He wished it to be handed over to the State or to some organisation. However, Cameron fell seriously ill shortly after and died in December 1923, so that no further action was taken. In 1969, the landowner, a Mr Powell, became concerned about damage to the site, and offered to sell a portion of CA 24 to the Shire of Romsey. 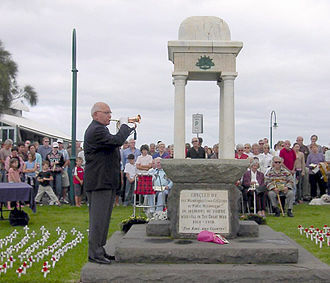 The Shire obtained financial support from the Victorian government in 1971 and the title was transferred in 1972. In 1976, an archaeological area was declared under the Archaeological and Aboriginal Relics Preservation Act 1972 over the council-owned land and the adjoining privately owned CA 16A to the north. In 1997 the Shire of Romsey (now Macedon Ranges Shire Council) gifted their land to the Indigenous Land Corporation, which subsequently put the site under the management of the Wurundjeri Tribe Land Compensation and Cultural Heritage Council, It has also been included on the Register of the National Estate and the Australian National Heritage List. Coordinates: 37°12′38″S 144°48′37″E﻿ / ﻿37.210516°S 144.810297°E﻿ / -37.210516; 144.810297. McBryde, I & Harrison, G (1981). Valued good or valuable stone? 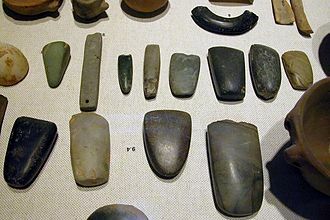 Consideration of some aspects of the distribution of greenstone artefacts in southeastern Australia. In B.F. Leach and J. Davidson (eds), Archaeological Studies of Pacific Stone Resources, pp. 183–208. Oxford: British Archaeological Reports. McBryde, I & Paton, R (n.d.) Submission to the Australian Heritage Council in relation to the assessment of the Mount William Greenstone Axe Quarry nominated for the National Heritage List. Unpublished report. McBryde, I. (1978). Wil-im-ee Moor-ring: Or, where do axes come from? : Stone axe distribution and exchange patterns in Victoria. Mankind 11(3):354-382. McBryde, I (1984b). Kulin greenstone quarries: The social contexts of production and distribution for the Mount William site. World Archaeology 16(2): 267-285. McBryde, I & Watchman, A. (1976). The distribution of greenstone axes in southeastern Australia: A preliminary report. Mankind 10(3):163-174. McCarthy, F. D. (1939). "Trade in Aboriginal Australia, and Trade Relationships with Torres Strait, New Guinea and Malaya". Oceania. 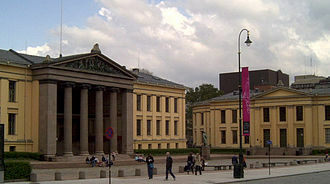 10 (1): 80–104. doi:10.1002/j.1834-4461.1939.tb00258.x. West, A.L. (1972). An Aboriginal axe-grinding rock near Mount Macedon, Victoria. Victorian Naturalist vol. 89: 198  200. Port Augusta is a small city in South Australia. 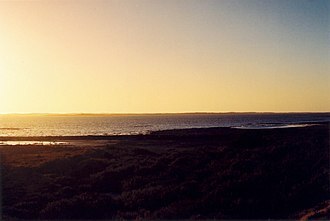 It is a seaport and railway junction city mainly located on the east coast of the Spencer Gulf immediately south of the gulfs head, the suburb of Port Augusta West is located on the west side of the gulf on the Eyre Peninsula. 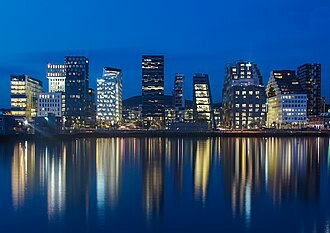 Other major industries included, up until mid-2010s, electricity generation, at June 2015, the estimated urban population was 14,214. The urban area consists of the following suburbs laid out from east to west - Port Augusta and Davenport on the side of Spencer Gulf. It is a harbour, which was founded on 24 May 1852 by Alexander Elder. 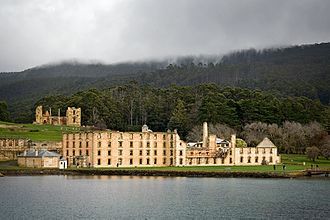 Mr. Grainger was a member of Government from Adelaide, the port was named after Augusta Sophia, Lady Young, the wife of the Governor of South Australia, Sir Henry Edward Fox Young. According to the 2011 Census, the population of the Port Augusta census area was 13,504 people,50. 2% of the population were female,85. 2% are Australian born, over 88. 6% of residents are Australian citizens and 17. 3% were Aboriginal. The median weekly income is A$789 or more per week. 17. 4% of the population identify themselves as Catholic, while a higher 26. 2% identify with no religion at all, Spencer Gulf is a natural barrier to land transport, so Port Augusta has naturally become the crossroads of Australia. It is at the junction of road and rail links. Port Augusta is the end of the Eyre Highway to Perth. It is the end of the Augusta Highway to Adelaide. It is the end of the Stuart Highway to Darwin. All traffic across southern Australia passes through Port Augusta, in 1878, the town became the southern terminus of a proposed North South transcontinental line, headed for Darwin 2,500 km away. This 3 ft 6 in narrow gauge railway was taken over by the Commonwealth in 1910. In 1929, it was extended to its last terminus at Alice Springs, between 1913 and 1917, a 2,000 km long east–west transcontinental railway was built from Port Augusta to Kalgoorlie in Western Australia. The standard gauge Adelaide-Darwin railway was completed in 2003. William Barak, was the last traditional ngurungaeta of the Wurundjeri-willam clan, first inhabitants of present-day Melbourne, Australia. He became a spokesman for Aboriginal social justice and an important informant on Wurundjeri cultural lore. Barak was born in the early 1820s at Brushy Creek near present-day Croydon and his mother, came from the Nourailum bulluk at Murchison, Victoria. His father, was an important member of the Wurundjeri clan, Barak was said to have been present as a boy when John Batman met with the tribal elders to purchase the Melbourne area in 1835. Before he died he described witnessing the signing of the treaty in a ceremony he called a tanderem, ninggalobin and Billibellary were the leading song makers and principal Wurundjeri leaders in the Melbourne region. European colonisation had caused disruptions to initiation ceremonies, in response these three men gathered at South Yarra in the late 1830s and inducted the young William Barak into Aboriginal lore. At the end of the ceremony Barak presented his uncle, Barak attended the government’s Yarra Mission School from 1837 to 1839. 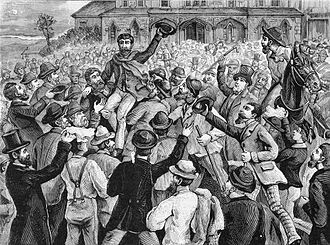 When he joined the Native Mounted Police in 1844, he was given the name of William Barak, in early 1863, Barak moved to Coranderrk Station, near Healesville, Victoria with about thirty others. Upon the death of Simon Wonga in 1875, Barak became the Ngurungaeta of the clan and he worked tirelessly for his people and was a successful negotiator on their behalf. He was a respected man and leader, with standing amongst the Indigenous people. 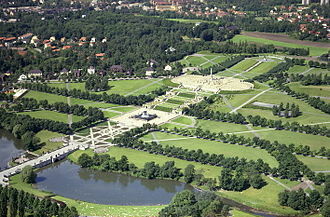 Barak died at Coranderrk in 1903 and is buried at the Coranderrk cemetery and he was about 85 years old. Barak is now best remembered for his artworks, which both traditional Indigenous life and encounters with Europeans. Most of Baraks drawings were completed at Coranderrk during the 1880s and 1890s and they are now highly prized and exhibited in leading public galleries in Australia. His work is on permanent display in the National Gallery of Victoria Ian Potter Centre at Federation Square, ceremony is housed at the Ballarat Fine Art Gallery. In 2006 a permanent sound installation called Proximities was installed on the bridge and it was designed by David Chesworth and Sonia Leber. The towns of Ararat and Hamilton are within their territory. There were 41 Djab wurrung clans who formed an alliance with the neighboring Jardwadjali people through intermarriage, shared culture, alternate transcriptions of the name are Chaap Wuurong, Tjapwuring, Tjapwurong etc. The Djab wurrung were a society, with descent system based on the Gamadj and Grugidj moieties. Grugidj sub-totems included pelican, parrot and large kangaroo, Gamadj sub-totems included emu, whip snake, possum and sparrowhawk. Clans intermarried with the Dja Dja Wurrung, Dhauwurd wurrung, the Djab Wurrung were semi-nomadic hunter gatherers within their territorial boundaries. 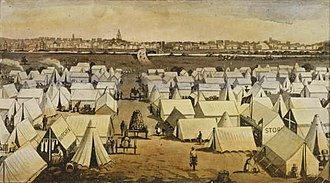 During early Autumn there were gatherings of up to 1000 people for one to two months hosted at the Mount William swamp or at Lake Bolac for the annual eel migration. Several tribes attended these gatherings including the Girai wurrung, Djargurd wurrung, Dhauwurd wurrung, near Lake Bolac a semi-permanent village extended some 35 kilometres along the river bank during autumn. George Augustus Robinson on 7 July 1841 described some of the infrastructure that had constructed near Mount William. an area of at least 15 acres was thus traced out. These works must have been executed at great cost of labour, there must have been some thousands of yards of this trenching and banking. The whole of the water from the mountain rivulets is made to pass through this trenching ere it reaches the marsh, in mid summer gatherings for ceremony and hunting took place at Mirraewuae, a marsh near Hexham rich with emu and other game. The ball is about the size of an orange, and is made of opossum-skin, tom Wills family moved to a station near Ararat around 1840, when he was 5 years old, and he grew up often playing with the local aboriginal kids and learning the local dialect. He was influential in establishing and codifying Australian Rules football, some of the Djab wurrung clans are thought to have practiced burial of their dead in trees. Djab wurrung was one of four primary languages spoken in western Victoria, sub dialects included Djab wurrung, Knenknen wurrung, and Pirtpirt wurrung. North Central Victoria is a rural region in the Australian state of Victoria. As at the 2011 Australian census, the North Central region had a population of 239,438, a climate change study by LaTrobe University includes the Shire of Hepburn within the region. The major urban centres are Bendigo, Castlemaine and Rochester, smaller localities include Kyneton, Pyramid Hill, Kerang and Creswick. In 2002 the estimated population of North Central Victoria was 200,000, the climate is moderate with wet winters and warm, dry summers. Annual rainfall ranges from 350 millimetres near Swan Hill in the north, temperatures are warm in summer, typically ranging from a maximum of 31 °C to a minimum of 14 °C in Kerang in the northwest and from 27 °C to 11 °C in the south. Winters are cool with temperatures of 2–4 °C across the region. This includes the management of water allocations and environmental protection for the Avon-Richardson, Campaspe. Regional water consumption for irrigation and domestic use greatly exceeds local supply, irrigation consumes an average 1.4 gigalitres per annum, while domestic use consumes around 40,000 megalitres per annum. Greenstone staff, 1550 - 1600 AD, from the Tairona culture of present-day Colombia. The Goose Hunters of the Arafura Swamp (1937), photo by Donald Thomson, showing aborigines in Arafura Swamp. Squadron Leader Donald Thomson training the NTSRU during the Second World War. The Howqua River, upstream of the Howqua Inlet and the settlement of Howqua, in 2012. Howqua River at Tunnel Bend. Spencer with the President of Brazil, Lula da Silva.